What is Project 45Degrees and Below? 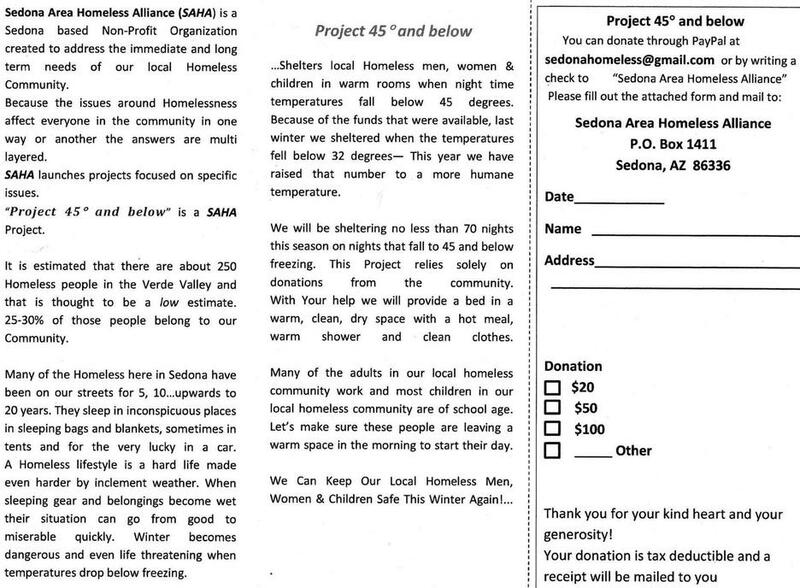 Project 45Degrees and Below shelters local homeless men, women and children in warm rooms when night time temperatures fall below 45 degrees. Because of the funds that were available last winter, we sheltered people when the temperatures fell below 32 degrees. This year we have raised that number to a more humane temperature - 45 degrees. We will be sheltering no less than 70 nights this season on nights that fall to 45 and below freezing. This project relies solely on donations from the community. With your help we will provide a bed in a warm, clean, dry space with a hot meal, warm shower and clean clothes. Many of the adults in our local homeless community work, and most children in our local homeless community are of school age. Let's make sure these people are leaving a warm space in the morning to start their day. We can keep our local homeless men, women and children safe this winter again!